Can Dry Salt Therapy Help Runners Breathe More Easily? A relaxing new treatment called Dry Salt Therapy promises relief from many breathing related ailments. When I first stepped into Breathe Easy, a spa-like environment for Dry Salt Therapy, I had no idea what to expect from a treatment. Dry Salt Therapy is popular across Europe as a natural solution for breathing issues. Since I am a perennially congested mouth-breathing runner, I was excited for this new experience. 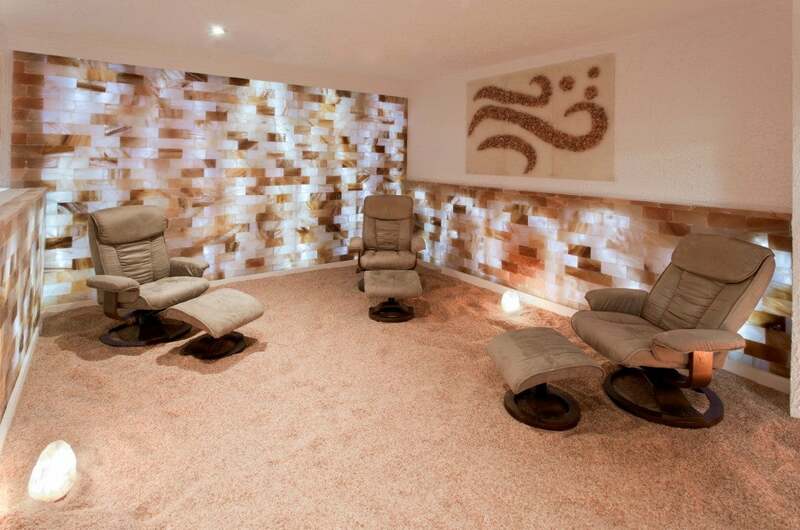 The therapy takes place in a softly lit, luxurious room, with walls made from blocks of pink Himalayan salt. The ground is also covered with small pieces of Himalayan salt as well, which feels as though you are walking on a beach. After you are comfortably lounging in a plush chair, microscopic salt particles are filtered through the air. These particles are supposed to reduce inflammation in the lungs and sinuses, absorb bacteria, fight infection and help with mucus, which would otherwise block the airways. The all-natural treatment is supposed to treat conditions like seasonal colds and allergies, the flu, bronchitis, asthma, sinus infections, psoriasis and eczema. In addition, many athletes take part in the therapy to improve endurance and performance. The treatment within the Dry Salt Therapy Room takes 45 minutes. The setting is extremely relaxing and a great way to de-stress. After a few minutes, I could feel myself drifting to sleep within the salt room. For those short on time, there is a Breathe Easy Salt Bed. which looks similar to a tanning bed, except made of plexiglass. The same microscopic salt particles that are pumped into the salt therapy room also fill the bed. This concentrated treatment only takes 20 minutes. While I didn’t feel immediate results following the treatment, I noticed throughout the week that my constantly clogged nostrils were slightly more decongested. I was able to sometimes breathe through my nose on subsequent runs, a luxury I’m usually never able to enjoy. Many people need more than one treatment to feel results. I would definitely return to combat my seasonal allergies and colds. I would also consider scheduling a Dry Salt Therapy session before a goal race not only for the breathing benefits, but also to help with relaxation. The treatment costs $40 per session. First time patients can attend unlimited salt room sessions for a week at $25. Breathe Easy has 4 locations in New York. To find out more information, visit breatheeasyusa.com.